I love Etsy in phases. There will be weeks, months where I don’t look at it at all and then there will be days, weeks, months where I’m checking it almost everyday, finding something cute, adorable and handmade that I just need to have. 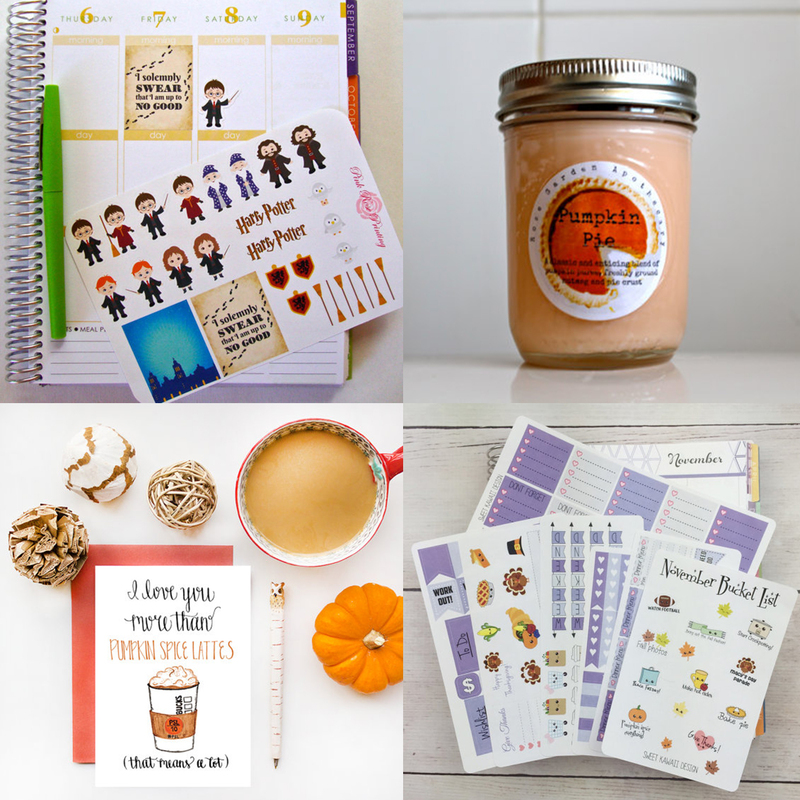 Whether it’s adorable new stickers for my Erin Condren life planner (I LOVE stickers) or pumpkin pie scented candles that come with a crackling wood wick (seriously, it’s like having your own fireplace)! I’ve been on an intense Etsy kick lately and have been coming across some of the cutest finds. I just wanted to share a few of the cute pieces that I have been coveting lately. Are you Etsy obsessed too? Share with me in the comments below! Aw these are so cute! I love the Harry Potter stickers! Those are some absolutely darling finds! Crackling wood wick?! I'm all over that. Ordering ASAP! Loving the planner stickers and I need that candle. Im obsessed with the smell of pumpkin right now. I NEED the Harry Potter stickers! I haven't even heard of planner stickers, where have they been all my life?